Posted on 27, September 2017 by EuropaWire PR Editors | This entry was posted in Insurance, Management, Netherlands and tagged APG Group NV, Bart Le Blanc, Gerard van Olphen, Pension Fund Services, Wim Henk Steenpoorte a. Bookmark the permalink. 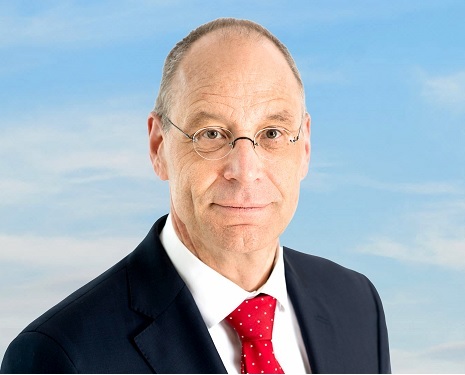 The Supervisory Board of APG Group NV (APG) announces that Wim Henk Steenpoorte has been appointed member of the Executive Board responsible for Pension Fund Services as of September 14. In this role, Wim Henk Steenpoorte will have a permanent seat on APG’s Executive Board. Wim Henk Steenpoorte has been appointed for a four-year term and has been approved by APG’s regulators and shareholders. In his role as member of the Executive Board in charge of Pension Fund Services, Wim Henk Steenpoorte is responsible for pension administration and continuity of service provision to pension funds and their participants. He is also ultimately responsible for ensuring that the pension administration and participant communication in the second pillar is carried out efficiently and effectively. His focus areas also include further reducing the complexity and increasing the efficiency of the operation. Wim Henk Steenpoorte (1964) has extensive experience as a director in the world of finance and insurance. From 2015 to 2017 he served as an independent management consultant and supervisor. Between 2001 and 2015 he held various management and executive positions at SNS and VIVAT, including membership of the executive board (CTO and CEO, Insurance) during the last four years of this period. He fulfilled the role of interim Chief Operations Officer (COO) at APG since March 2017. Wim Henk Steenpoorte studied business administration and later completed a master’s degree in information management at the University of Amsterdam. Wim Henk Steenpoorte is married and has three children. As a financial services provider, APG Group provides executive consultancy, asset management, pension administration, pension communication and employer services. It also offers supplementary income products for individuals on the pension market. The APG Group performs these activities on behalf of (pension) funds and employers in the sectors of education, government, construction, cleaning and glass cleaning, housing associations, energy and utility companies, sheltered employment and medical specialists. APG Group manages EUR 451 billion (July 2017) in pension assets for the (pension) funds in these sectors. APG Group also provides administration of defined contribution schemes for premium pension institutions (PPIs), (company) pension funds and insurance companies. APG Group works for over 40,000 employers, providing the pension for one in five families in the Netherlands (approximately 4.5 million participants). APG Group has locations in Heerlen, Amsterdam, Brussels, New York, and Hong Kong.